In this great Soorah there are lofty benefits and rulings. 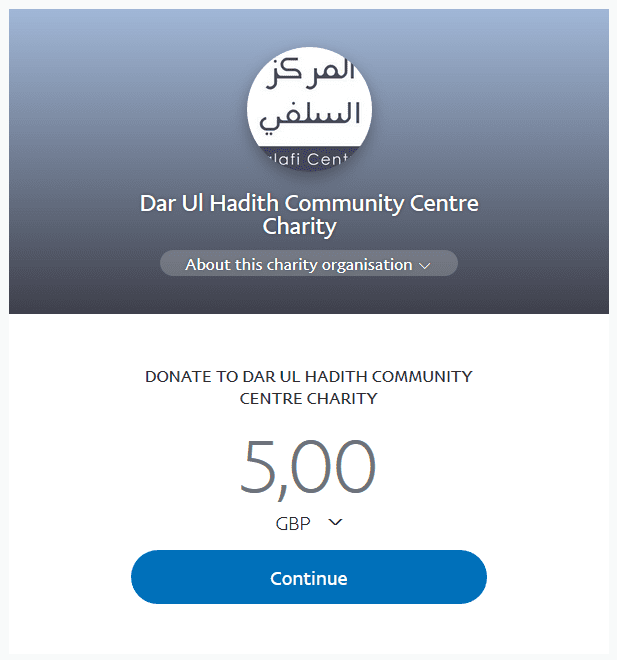 The Muslims are greatly in need of understanding (it), being conscious of it and take benefit from it. 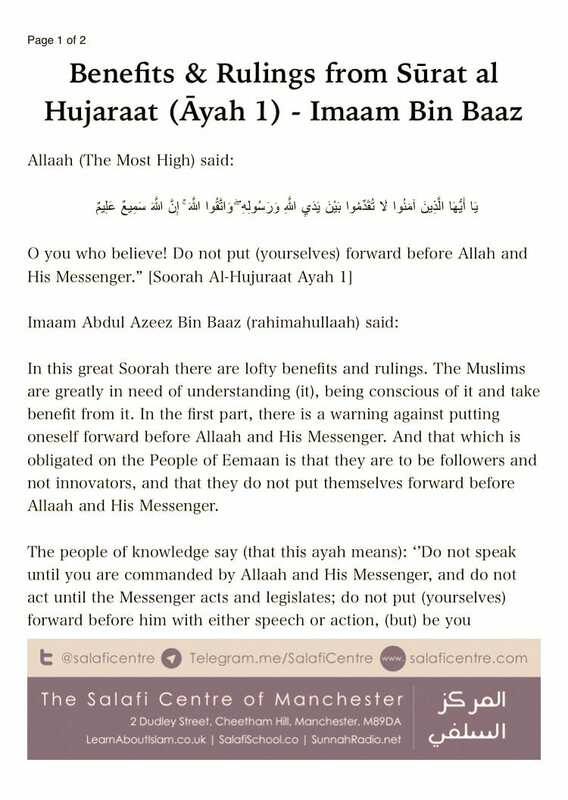 In the first part, there is a warning against putting oneself forward before Allaah and His Messenger. 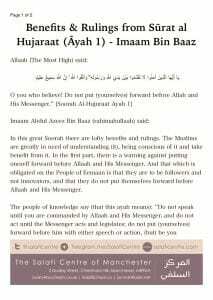 And that which is obligated on the People of Eemaan is that they are to be followers and not innovators, and that they do not put themselves forward before Allaah and His Messenger. The people of knowledge say (that this ayah means): ‘’Do not speak until you are commanded by Allaah and His Messenger, and do not act until the Messenger acts and legislates; do not put (yourselves) forward before him with either speech or action, (but) be you followers of that which has been prescribed for you and that which has been made clear for you in the (Islamic) legislation. This is the way the people of Eemaan are to be -they do not innovate acts of worship and rulings in Allaah’s Sharee’ah. Allaah hears their statements and nothing is hidden from Him with regards to your state of affairs. He hears the statements of the slaves and He knows their state of affairs. He knows the truth you utter and other than it. He knows what you do, the truth you utter and other than it. The meaning of (this is that): Be mindful of Him and be warned about (disobeying Him) because nothing is hidden from Him. He hears and He knows your state of affairs. 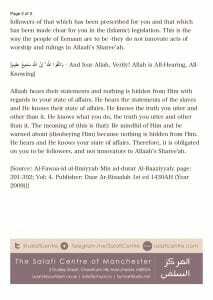 Therefore, it is obligated on you to be followers, and not innovators in Allaah’s Sharee’ah.